A service adapted to the needs of each client. Our team analyze and review your SQL Server system, identifying the improvement factors and proposing solutions. A highly proven procedure, results are obtained in a fast, safe and non-intrusive way, even in high performance systems. In this first step we met with the IT team to know the architecture of the environment, the problems that occur and request access. 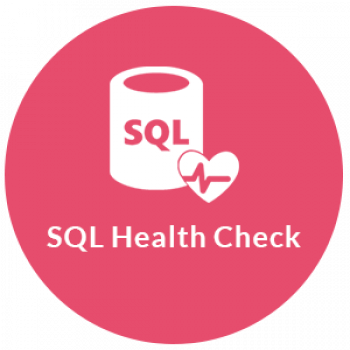 We installed an extremely lightweight monitoring that collects performance counters from the servers, in order to know the status of CPU, Memory, Disk and the internal behavior of SQL Server. At the same time while the monitoring is collecting data, our experts in SQL Server analyze at all levels the configuration of Server, Instance and Databases. With all the data obtained during the monitoring and analysis, a document is created that includes all this revision as well as the necessary changes for the improvement of the environment, for the presentation and explanation of the document, a new meeting is called. Once all the recommended changes and improvements are approved by the client’s team, our experts will proceed to perform them in a window that has been previously agreed upon and with a service impact less than 30 minutes. • Operating System Configuration related to SQL Server. • SQL Server Instance Configuration. • Main bottlenecks and code related to them. • Other risks, High availability, Contingency, etc. To address these types of problems, we propose a series of clear measures for risk mitigation and performance improvement. Do you want us to improve the performance of SQL Server? Call us at +34 962 681 242 or leave us your name and email and we will contact you .